A little bit of grunge romance for your Valentine’s day. You can use it to design postcards, posters, letters, magazines, articles, internet pages, greeting cards, party invitations, flyers, banners, advertising, gift cards, sale ad, tags and labels, stickers, header images, souvenirs, shoes, t-shirts, hoodies, different cases, apparel, etc. File format: .jpg, .png, .psd for Photoshop or other software. 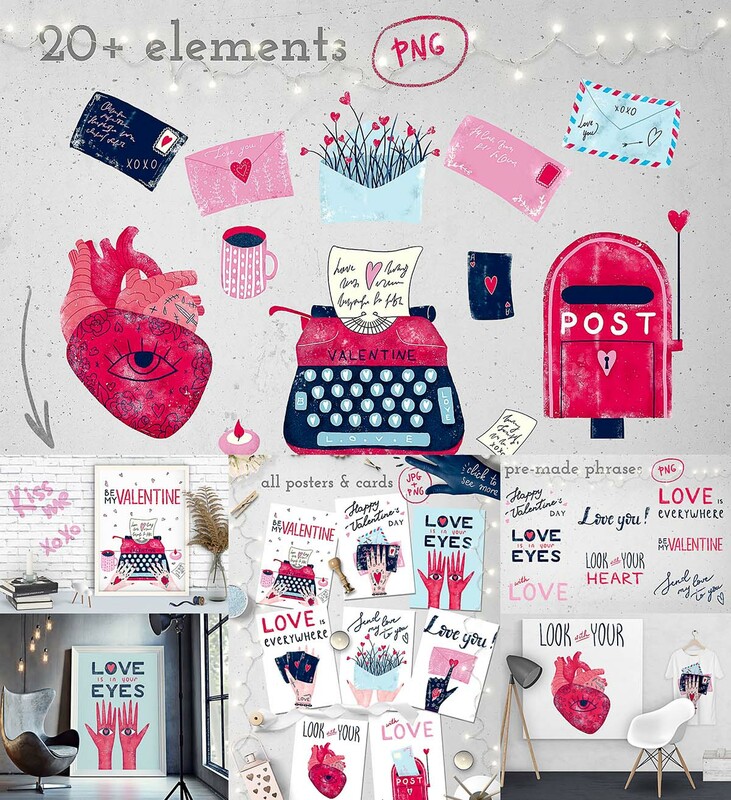 Tags: digital, envelope, grunge, heart, pink, post, postcard, romantic, texture, Valentine.